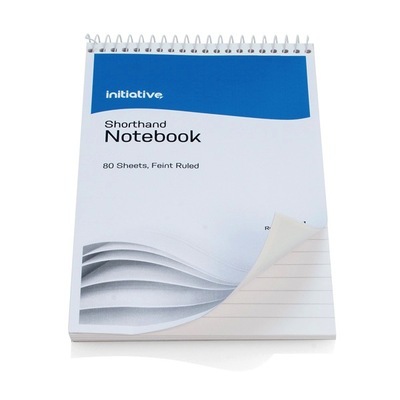 When it comes to versatility, this Shorthand Notebook offers it in abundance. Designed for a range of tasks, it features a hard cardboard backing for stability. The 80 leaf design provides ample space for note taking and shorthand while each sheet is pre-lined and spiral bound at the top. Taking well to all kinds of ink and pencil, it's compact design allows it to slip easily into your backpack or handbag while keeping the essential notes to hand. A great addition to any office, nursery or workplace alike. We have a range of Stationery resources available to purchase online including our A5 Spiral Notebook or our A4 Refill Pad 80 Sheets.